I learned to sew in my Home Economics class, back when sewing was viewed as much as a necessity as it was a hobby to enjoy. Recently, I got out my bought-at-a-thrift-store-yet-like-new-just-dusty sewing machine (mineral oil is your sewing machine’s friend) to fix a poorly stitched curtain — and to my surprise, my daughter was absolutely thrilled. I showed her the basics and she started sewing all sorts of little things. It’s a few weeks later, and she’s still having a grand time. Where’s a Home Ec class when you need one? 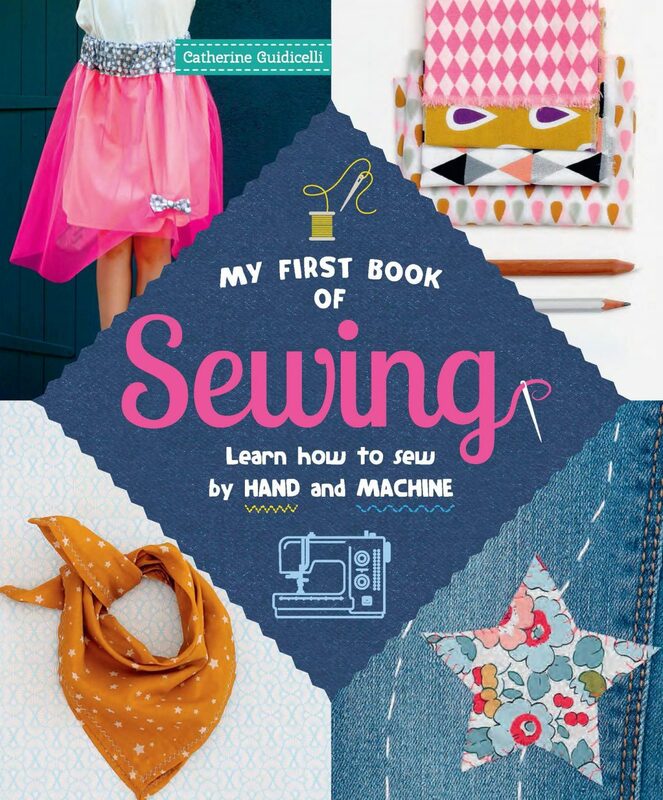 We were so happy to get this book, which really teaches someone all of the basics (and not-so-basics) of sewing, both by hand and by machine — in a fun and friendly way, with full-page photos and really helpful, well-drawn illustrations. There are about 50 pages of introductions and basics, along with 22 smallish projects (not a lot of fabric needed). Each project is divided up into specific 1 or 2 page tasks, which gradually cover just about everything you’d learn in a sewing class. The book is soft cover, with full page color throughout, down to the color borders around each page. Right now, my daughter is making the pennant banner with a variety of fun fabrics to decorate her room. She’s really enjoying herself and I’m happy to see her skills — and confidence — growing each day.